Tartan Fairytales : Book Club - Blog Style, Take 2! Gemma here again! I so enjoyed doing my last Book Club post so I thought I might make it a regular thing! Obviously if this is something you find boring just let me know. 'Gemma your books are boring please stop.' and I will! Since my last book club post I have finished two books and I am half way through my third. 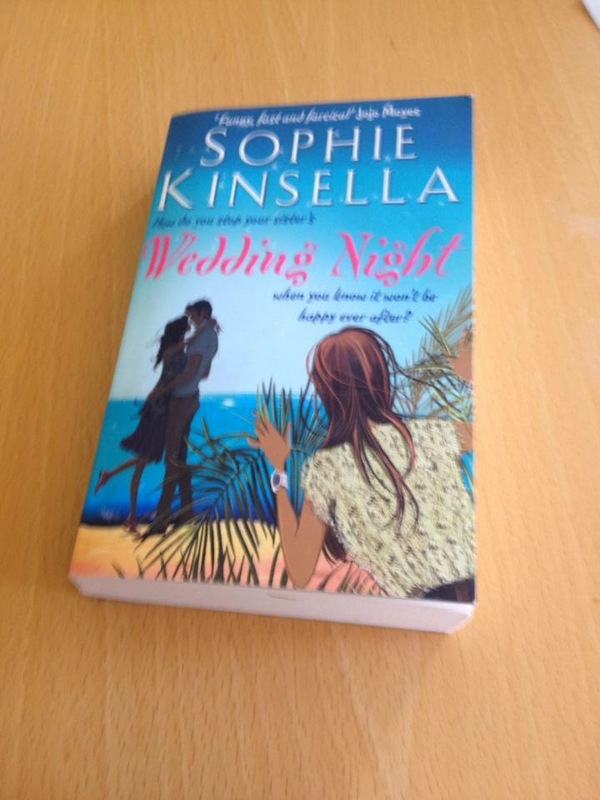 But the first one after the last was another Sophie Kinsella, 'Wedding Night'. Yet another great book by Kinsella. This book literally made me laugh out loud. Again I don't want to give away any spoilers! 'Wedding Night' is about two sisters, Lottie and Fliss. I love the way the book is set out as each chapter is from a different sister and shows their different views on the same events, and as I have a sister myself I could really relate to how it played out. During the book, Lottie starts to get depressed about being in her 30's and not being in a committed and stable relationship, so when her first love Ben shows up again and asks for her hand in marriage. She sees it as fate and goes for it! Understandably big sister Fliss thinks Lottie has made a huge mistake (Fliss hasn't even met Ben for crying out loud). So when Lottie skips of to her honeymoon, Fliss goes out her way to make sure it is anything but blissful! The antics and ideas that Kinsella come up with in this book are just hysterical. And the way the sisters are both writing about their experiences just link up the whole book into a full circle. A real heartwarming funny tale. This would be a great book for when you are on holiday sitting next to the pool! I totally recommend this book and have seen it in lots of 2 for £? deals recently in both WH Smiths and Tesco. So if you love a good book for a good deal, definitely pick it up!